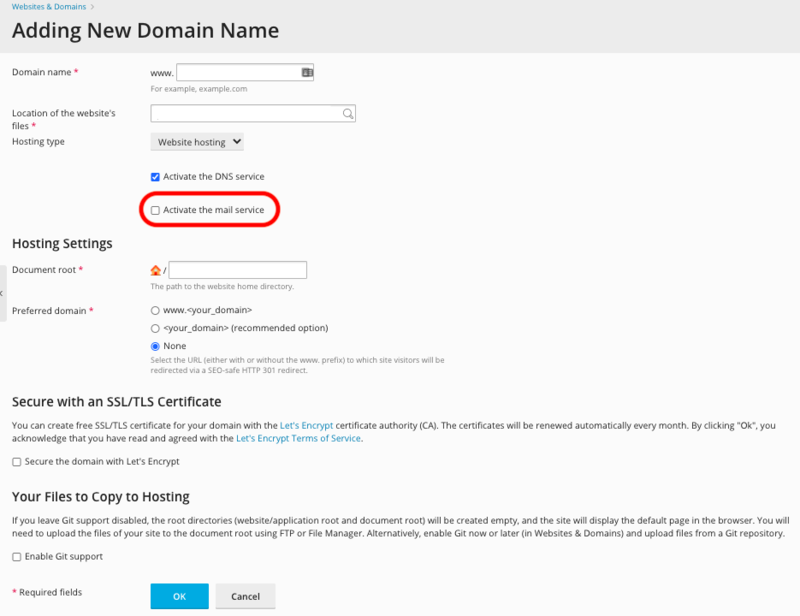 You can create additional domains for use with your Shared Hosting account. First, ensure you are logged into your account at http://hosting.xmission.com. On this screen, fill in your domain name, A brief description of each follows the image. Domain name: This is the name of your new domain. In this example, we would be adding the domain "test-domain.com." DNS Server Configuration: Most likely, you will be using XMission for DNS and so the box shown above should be selected. Hosting Type: If you are designing a new website, you will want to select the first option as seen above. If, however, you simply want this domain to forward to another, you would select the second option. If you only want the domain available for E-Mail addresses, you would select the third option. Document root: This is the folder where you will build your new website. 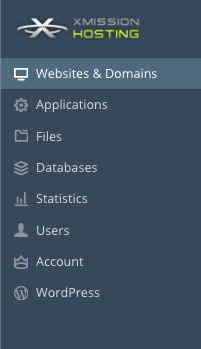 We do recommend you name your folder specific to each domain. Preferred domain: You can choose to have domain.tld or www.domain.tld or none. It is highly recommended you create a separate rooted directory for each domain, as opposed to pointing your domain to a subdirectory.